Model Number: 2.0"*9BWG / 2.5"*9BWG/3"*9BWG, 2.5"*10BWG/3"
Cement nail, commonly known as nails, concrete nails, is one of a kind of nail. It is made of carbon steel. Its function is to nail in some of the more rigid nail nail on the object, because the material and the ordinary nail is very different, is a special nail. Cement nail is in high hardness, and it is thick and short, so the wear chisel ability is very strong. 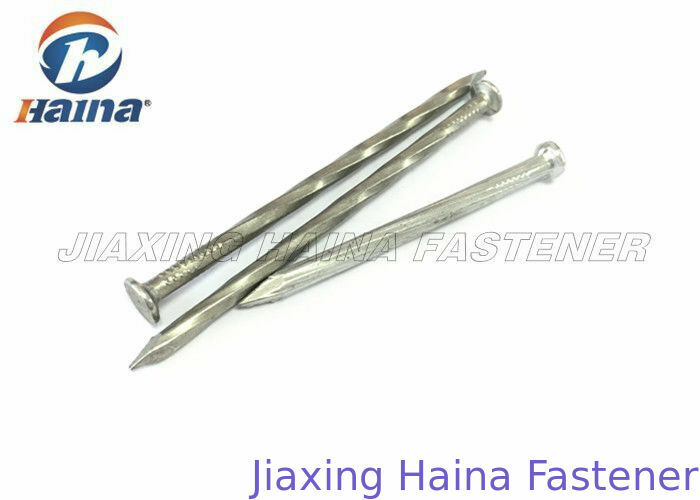 According to different classification, cement nails can be divided into: black cement nails, blue cement nails, colored cement nails, cement head nails, K-cement nails, T-cement nails, galvanized cement nails and so on. The head is flat countersunk head. And the shank is Smooth or flute shank. The point can be divided into diamond point or needle point. The feature of nails is in smooth/ twisted/vertical thread. The material can be #60 #55 #45 steel. It is in high strength. For the furnish, it can be galvanized white and black. Diameter is BWG13- BWG8. The length is 1"-4", and we can also customize as client's requirements. 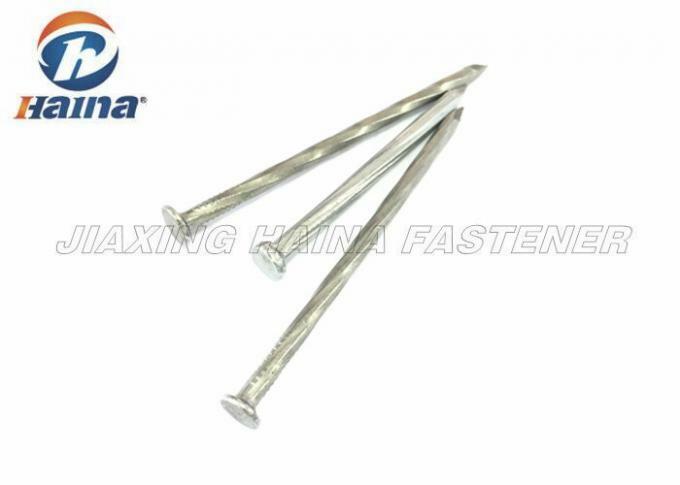 The concrete nails are widely used in construction, workshop and daily life to attach wood, shive or any other type of material to a concrete or masonry surface.